Your password is a key to all your account on the internet. All account on the internet need username and password for their basic authentication. If your password fall into wrong hand, someone can easily impersonate you while online, sign your name to online service agreements or contracts, engage in transactions, or change your account information. So, choose your password carefully and then keep it safe from others. I have a few tips for you to choose a rememberable but still a strong password. First tips, don’t use your name, dog’s name, mother’s name or any name. And don’t use a word from English dictionary. It easy to guess by the attacker’s bot. Yes, most people in the world know English, so don’t use english words for your password. Use other languages, maybe chinese, japanese, korean, arabian, or anything you like. Or don’t even use any words. Use random character but easy to remember. Use more than 8 characters for your password with combination of Uppercase, Lowercase, numbers and special characters or symbols (! @ # $ % ^ & *). Use special Unicode characters like ©, «, µ, §, ®. You can find more Unicode Character from Character Map on Windows. Make an account level for your every internet account. For example: Level 1 for primary email, financial account, or any confidential account. Level 2 for web 2.0 account that you trust like Facebook, MySpace, Twitter, etc. Level 3 for other untrusted website like underground forums, or untrusted sites. For Level 1 use very strict, long and unique for every account. Level 2 use strict and unique password for all account. Level 3 you may use easy to remember password and doesn’t need to be unique. Pick words from your language (other than english). Note: Practice 4-5 times before you change your new password. 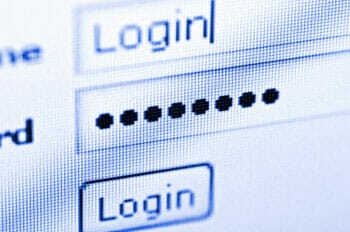 If you feel that you can type it without remember it, than change your password now. Remember the pattern, not the word! “Treat your password like your toothbrush. Don’t let anybody else use it, & get a new one every six months.” Quote from Microsoft Hardware.